Jiu Jitsu is a fantastic way to learn practical self defence skills in a fun, friendly and safe environment. It is a simple but highly effective martial art that encompasses a wide range of techniques and applications including ground holds, restraints, joint locks and throws. You will also be taught striking and kicking as well as being able to learn how to defend yourself against a variety of weapons and multiple attackers. As part of our club, you will have the opportunity to attend regional training courses and compete in national competitions and BUCS fixtures. These include both high quality training as well as giving you the chance to show off your skills and compete in throwing and ground fighting events! As you improve, you will have the option to take part in gradings which will allow you to progress through the belt system. Jiu Jitsu is a great way to improve your confidence, meet new people, make new friends, learn new skills but most importantly HAVE FUN!!! We will be running a total of six taster sessions at our normal training times and venues during the first weeks back. Make sure you come along to see what we’re about! Hi! I’m the chair of Loughborough Students Jiu Jitsu so I’m in charge of the whole club and committee and am responsible for liaising with the AU along with my Vice Chair. I love Jitsu! It’s an great martial art that both looks awesome and is extremely useful in a range of situations - whether you want to compete, be able to defend yourself or just tie your mates in knots, Jiu Jitsu has something for you! Jiu Jitsu is a great way to keep fit and have fun, regardless of whether you’ve done martial arts before or if you’re completely new to the sport. 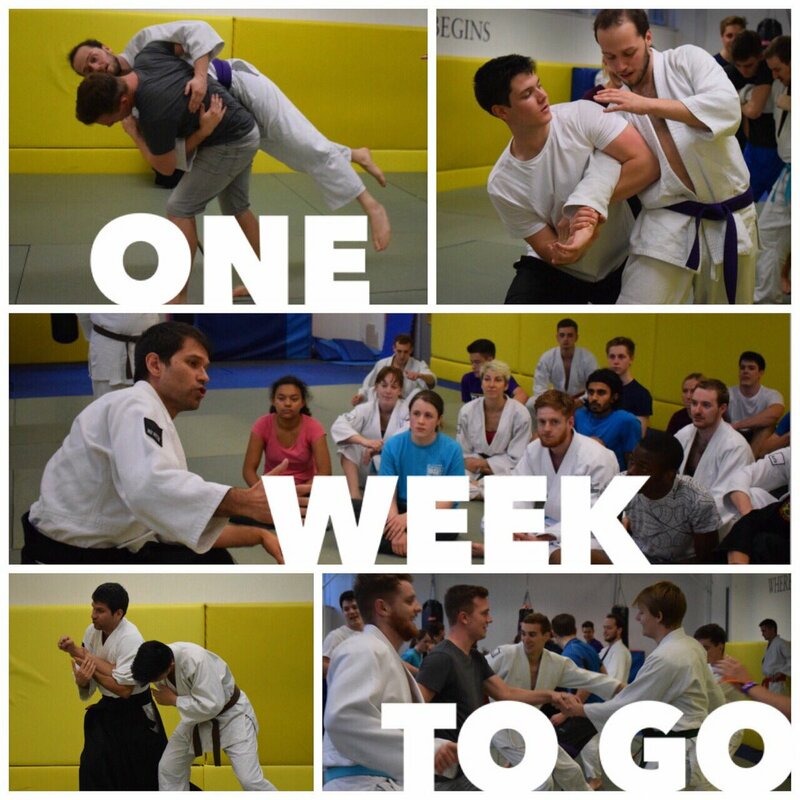 Training with us will also give you the chance to compete in national competitions and being affiliated with The Jitsu Foundation gives us access to many senior instructors for seminar-style sessions and guest instruction - which is really useful to expand your knowledge base and learn new techniques and skills! The facilities at Loughborough also allow us to hold home events providing further opportunity to meet like-minded people from all over! The club is great and we love to socialise outside of the dojo. I have made some good friends in my first year here and can’t wait to meet this year’s freshers! Hi everyone! I’m the Vice Chair and Media Rep for the club. My role is to support the club chair and I also take care of the social media and marketing for the club. 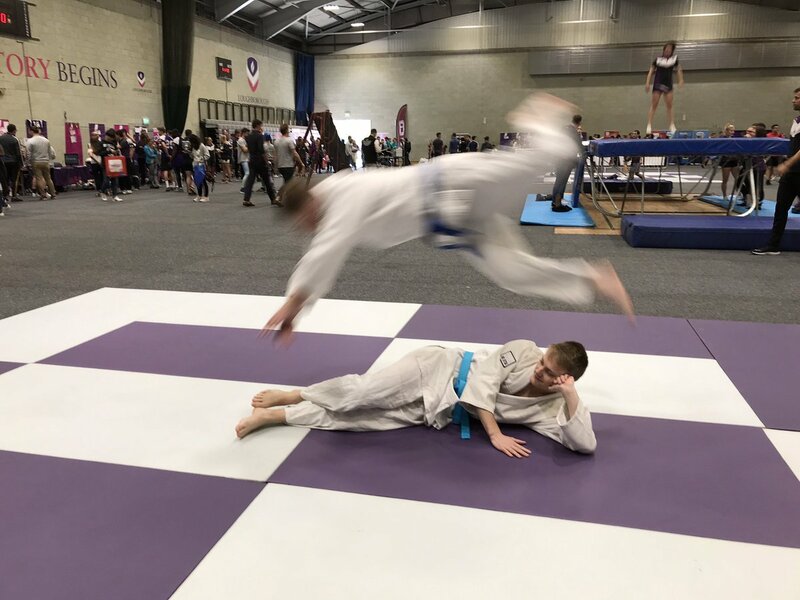 I started Jitsu last year and haven’t looked back - Jitsu has something for everyone whether you’re looking for a new hobby, something competitive or just something to keep fit! We can’t wait to meet you and hope you choose to join us this year - you won’t regret it! Hey! I’m the Treasurer for the Jitsu group. Jitsu is great not just because of the training but also the social aspect of the club, everyone gets on really well and it’s like a small family. We enjoy nights out together as well as throwing each other around in a dojo! Looking forward to seeing you soon!